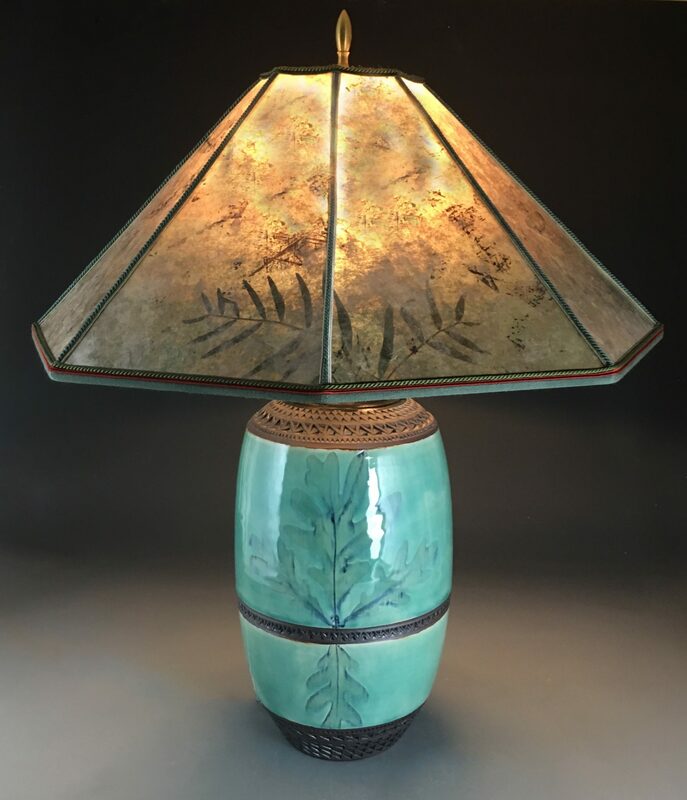 A generously sized table lamp with a formal arrangement of oak leaves inspired by the design on a Craftsman-era hammered copper vase. 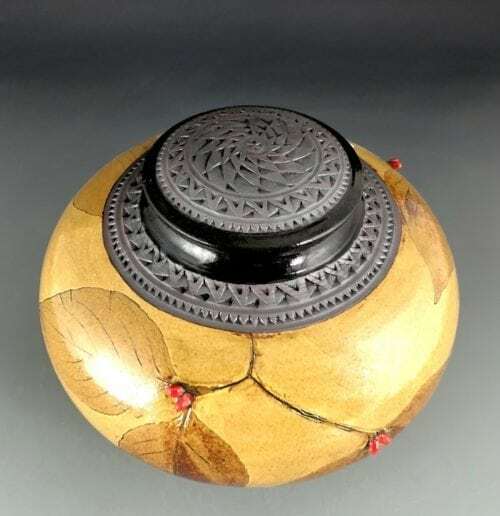 In copper celadon glaze with red iron oxide wash over intricate hand-pressed churchkey patterns at base, shoulder and belt. 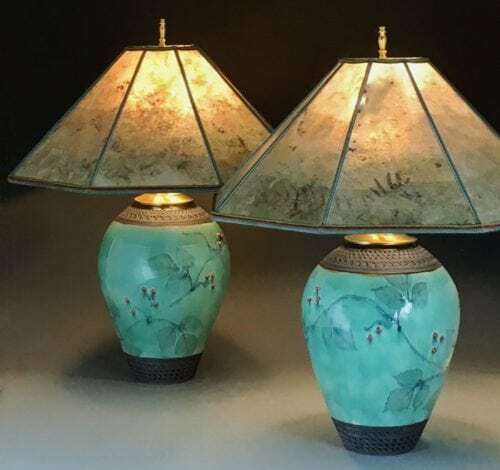 The fabulous octagonal mica shade with dried pepper-berry leaves is made by Sue Johnson, out of Berkeley, California, in collaboration with Suzanne Crane, with piping made to compliment Suzanne’s lamps. 23″ to top of finial. Shade is 20″ wide, point to point. 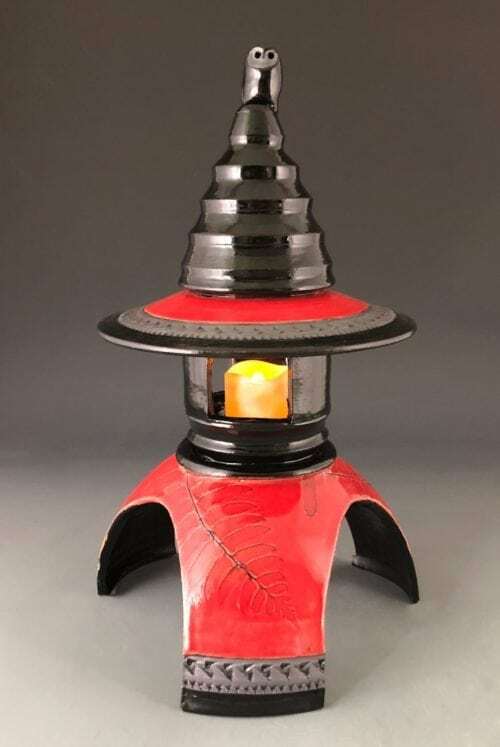 12″ to top of lamp base, 7″ wide.